Waited until the last minute to make this card, so this is my second post of the day. 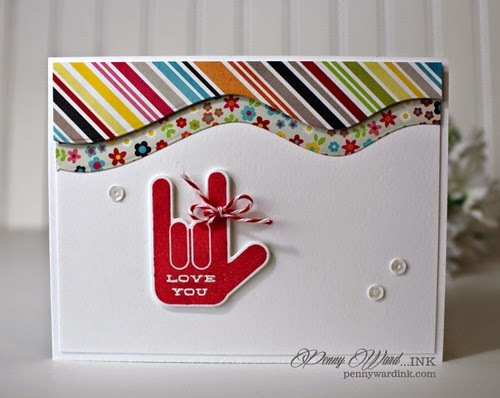 I just love this Sign Language stamp and die set. My children and my oldest grandson (4 years old) all sign and I just think it is so beautiful to watch. This Nana is still learning....slow process!!! This is so awesome and makes my heart smile!! 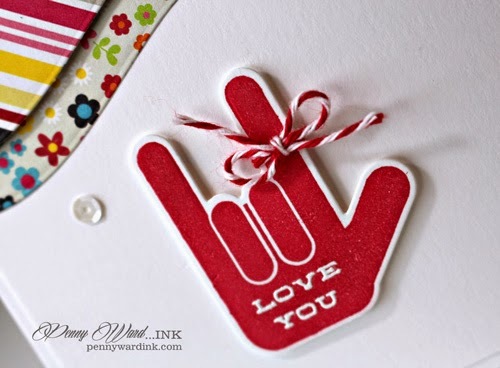 Love those swoopy borders at the top of the card in such happy papers!! Great work and a very touching, sweet card!!! Hope you day makes you smile!! !